John Wesley Powell began his river journeys by rowing up the Mississippi in 1855. He became a distinguished soldier, explorer, and manager of four federal agencies. John Wesley Powell left formal education, teaching, and natural history to command Union artillery units in the western theater during the American Civil War. Major Powell, who lost his right arm at the Battle of Shiloh (in Tennessee), returned in 1865 to teaching and museum curation. Summer excursions to the central Rocky Mountains generated productive exploration, when he led two daring reconnaissances by boat down the Colorado River in 1869 and 1871. Powell then managed four federal organizations funded by the U.S. Department of Interior: the U.S. Geographical and Geological Survey of the Rocky Mountain Region (from 1872 to 1879); the Bureau of Ethnology (from 1879 to 1902); the U.S. Geological Survey, or USGS (from 1881 to 1894); and the USGS Irrigation Survey (from 1888 to 1891). Powell, reflecting on the dynamic relations between moving waters and the geologic structures they crossed or matched, presented in 1875 a three-fold classification of rivers and drainage systems based on their history and his concept of a base level of erosion below which streams could not cut. His "antecedent" streams predated geologic uplifts of plateaus and mountains and maintained their courses during elevation; "consequent" streams postdated these uplifts and were controlled by them; and "superimposed" streams exceeded uplift rates to expose older structural settings. In 1878, Powell formally proposed reforming land and water use in the West. A decade later Congress funded the Irrigation Survey to aid development in the region. When Powell refused to recommend promptly the dam and reservoir sites whose selection would have reopened the public lands to entry and released federal dowry lands to six new states, Congress terminated the Irrigation Survey. Powell continued to promote reclaiming the West by wise communal irrigation and land use, including organizing drainage basins as counties in new states. In 1894, with the USGS under a new director, Congress restored funds for water-resource investigations by the agency and continued them thereafter. 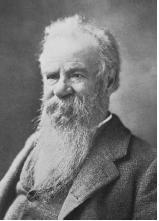 Powell lived to see the National Reclamation Act of 1902 lead to establishing the Reclamation Service within the USGS. SEE ALSO Bureau of Reclamation, U.S. ; Geological Survey, U.S. ; Stream Erosion and Landscape Development . Darrah, William Culp. Powell of the Colorado. Princeton, NJ: Princeton University Press, 1951. Powell, John Wesley. Exploration of the Colorado River of the West and Its Tributaries. Washington, D.C.: U.S. Government Printing Office, 1875. —— Report on the Lands of the Arid Region of the United States, 2nd ed. Washington, D.C.: U.S. Government Printing Office, 1879. Rabbitt, Mary C. Minerals, Lands, and Geology for the Common Defence and General Welfare, Vol. 1: Before 1879 and Minerals, Lands, and Geology for the Common Defence and General Welfare, Vol. 2: 1879–1904. Washington, D.C.: U.S. Government Printing Office, 1979–1980. Stegner, Wallace E. Beyond the Hundredth Meridian: John Wesley Powell and the Second Opening of the West. Boston, MA: Houghton Mifflin, 1954. Worster, Donald. A River Running West: The Life of John Wesley Powell. New York: Oxford University Press, 2001.